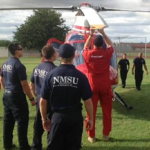 NMSU Fire Department periodically hires on-call EMTs, student firefighters/EMT and other administrative staff. We look for applicants who are motivated, disciplined, dependable and team orientated. Our Fire Department strives to ensure a safe operational and living environment for all students, staff, faculty and visitors. Why join the NMSU Fire Department team? As part of the NMSU team of transforming lives through discovery, you join a long history of dedicated administrative staff that has helped prepare student firefighters in careers in fire and emergency services. As a student firefighter, real-world experience, training, and education have resulted in our alumni having a highly successful job placement rate. 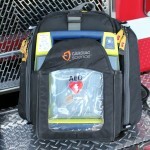 As an on-call EMT, they supplement our staff by representing the department at events or sports activities. Join the team — please see the descriptions and instructions for employment in each position below. Help us provide a meaningful, high quality education for NMSU students and prepare the next generation of leaders, in fire service or other jobs, for the state and nation. Currently there are no student firefighter/EMT positions available. Check our website often for new positions as they become available. Check the eligibility before you apply.